This flightless, multi-site conference invites interdisciplinary attention to confluences between environmental and religious perspectives and practices in the long Anglophone nineteenth century (1780-1900). Since that century, anthropogenic climate change has rapidly accelerated, and in response to this legacy we will avoid air travel by digitally connecting events at several conference sites in the United States and the United Kingdom. In addition, this method of networking, by lowering barriers of cost and transportation, promises to enable a more diverse and inclusive range of participation than is often possible at international conferences. Ecology and Religion in 19th Century Studies calls for attention both to earlier religious environmental consciousness and to the environmental impact of our scholarship today. According to TerraPass, air travel for an average international conference generates roughly 100 metric tons (mT) of carbon dioxide equivalents, the same greenhouse-gas impact as consuming 11,252 gallons of gasoline, burning 109,409 pounds of coal, or driving 245,098 miles in a passenger vehicle. Rather than seeking to replace physical with digital networking, this conference will take a hybrid approach by linking several international sites. Events will be live-streamed on a shared conference website, where, after the conference dates, they will also be recorded for future access. 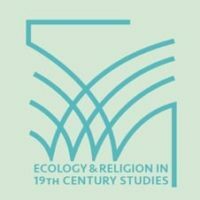 The Call for Papers and other information about Ecology and Religion in 19th Century Studies is available on the conference site: baylor.edu/library/ecologyreligion. Please visit the site to submit a proposal for a paper or panel session. The deadline is March 29, 2019. Additional contact information: Dr. Joshua King, email: ablconferences@baylor.edu.